51 *all remaining sites are first-come, first-served. The Charlie Lake area is very popular for bird enthusiasts and lake enthusiasts alike. Parks users will enjoy hiking the park trail system that weaves among the 176 hectares of Trembling Aspen forest as well as the large play area and playground. Charlie Lake Provincial Park is situated on the southwestern shore of 13 km long Charlie Lake. 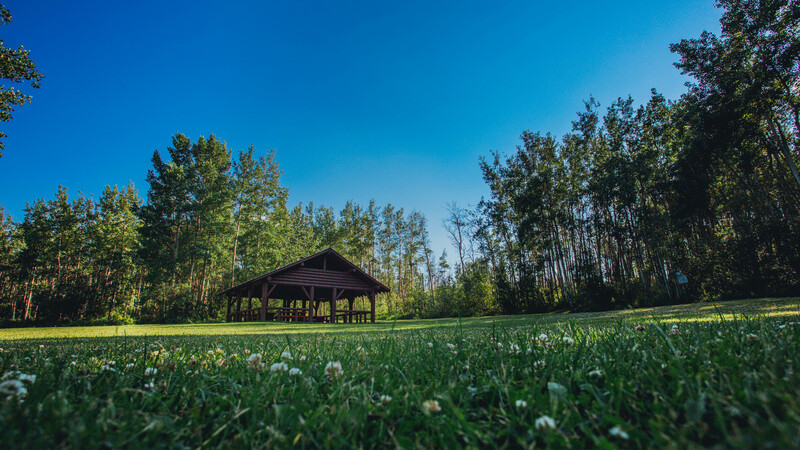 The park is located a short distance north of Fort St. John. View the area map and be sure to take a look at the photo gallery. Aspen is the dominant forest cover mixed with stands of birch, alder, lodgepole pine and spruce, and an understudy consisting mainly of Saskatoon berry bushes, soopolallie, flat-top spirea, waxberry and squashberry. Wildlife is not prevalent in the park although large mammals such as moose, White-tailed deer, Mule deer and Black bear are fairly common throughout the area. Squirrels, chipmunks, beaver, Snowshoe hares and muskrat are more likely to be seen. Birds of the open woodlands are abundant in summer with species like the Northern Oriole, Rose-breasted Grosbeak, Ovenbird, American Redstart and White-throated sparrow much in evidence. Waterfowl are frequent visitors to the lake and shoreline and a walk through the park will often rouse a Sharp-tailed or Ruffed grouse.